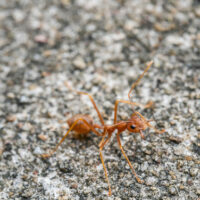 The so-called “ant bite” lawsuit that made national headlines is once again in the news. For those who don’t remember, the case began when a truck driver transporting batteries had a heart attack while driving causing the truck to capsize. Specialists were called in to remove the hazardous material and then the truck itself. Among them was the plaintiff in a recent case. Shortly afterward, the man began complaining of ant bites that seemed to be forming all over his leg. Over the next few months, he began explaining his symptoms to his pain-management doctor. He told the doctor that there were ants in his clothing that seemed to be ferociously biting him. Later, however, the man changed his story. He filed a lawsuit against Simon Trucking Inc., alleging that the source of the irritation to his skin was actually sulfuric acid that had seeped out of batteries at the crash site. The man was able to find at least one medical expert who agreed with his revised explanation, while the defense produced a medical expert to corroborate his original story. In the end, the jury awarded the man $5 million in damages. Many saw this verdict as evidence of a broken system, but just because the man believed that his skin irritation was caused by ant bites, doesn’t actually indicate that they were. Indeed, his injury to his leg was severe, so if it was caused by sulfuric acid instead of ant bites, he might very well be entitled to damages from the trucking company. Unfortunately, the proceedings for the decision were tainted by the fact that the man’s lawyers never bothered to prove negligence. They opted to try to prove that the trucking company had damaged or tainted the environment. In that instance, the trucking company would have been obligated to pay for damages regardless of whether or not they were negligent under the environmental protection statute. This is known as strict liability. However, the defense correctly pointed out that the environmental protection clause only applies to damaged property, not personal injury suits. Since the plaintiff never bothered to try to prove negligence, the case will need to be retried. The case has become infamous for a couple of different reasons. Firstly, the plaintiff’s attorneys were allowed to argue for strict liability when, in fact, they should never have been allowed to do so. Secondly, the verdict seems to defy common sense. The man had told his doctors that there were “ants all over him” but then changed his story blaming his condition on sulfuric acid. While it’s true that ant bites could not alone be responsible for the severity of symptoms the man reported, there was a medical explanation for that presented at trial. As a point of process, the decision had to be thrown out. That doesn’t mean, however, that the man’s legs weren’t legitimately damaged by sulfuric acid or that he won’t win again when the case is retried. Have You Been Injured Another’s Negligence? If so, Alan Goldfarb, P.A. of Miami will prove negligence the first time around, so your verdict is not overturned on appeal. Give us a call at 305.371.3111 and we’ll begin discussing your case immediately.